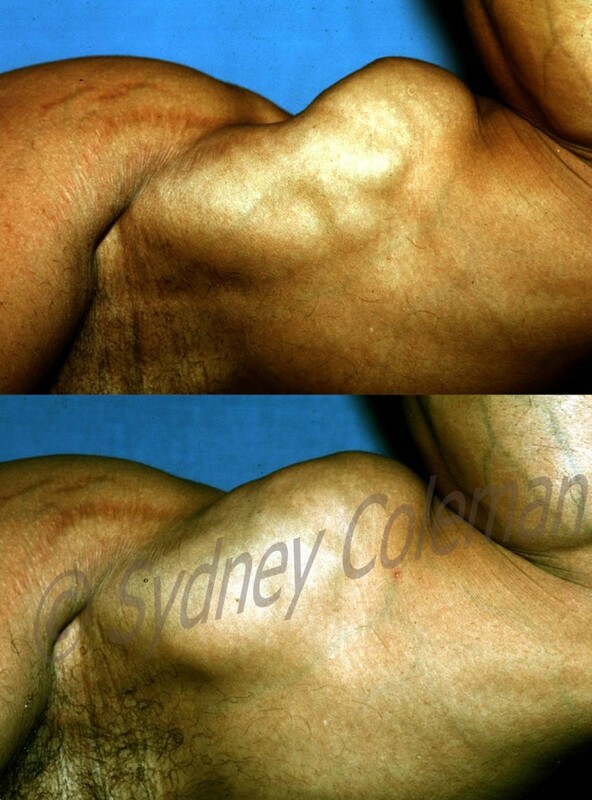 Bodybuilder sustained a biceps tear one year before, resulting in remarkable depression of his left biceps when he flexed (note orange circle). 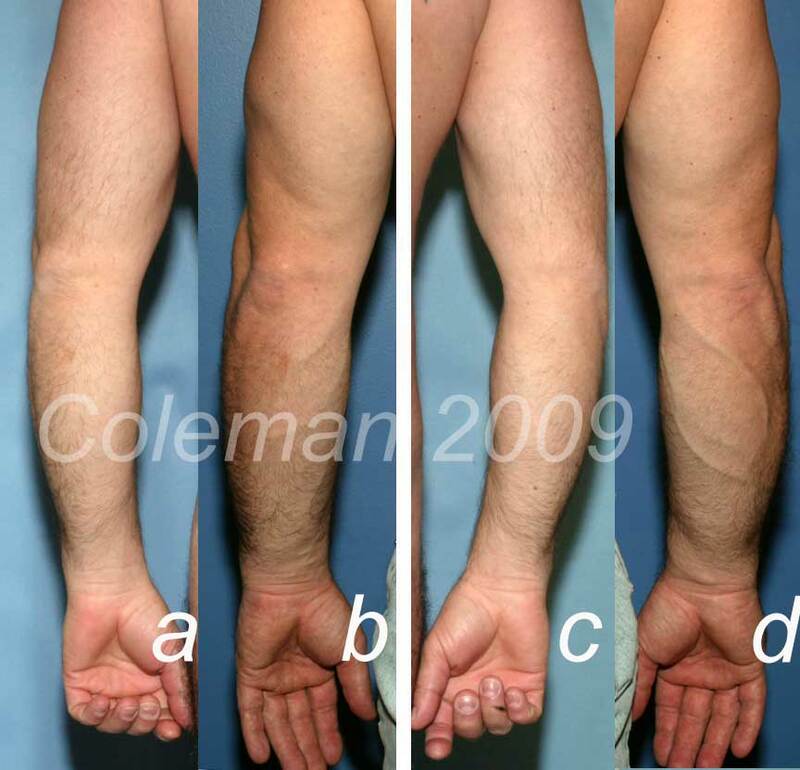 26 months after the second of two fat grafting procedures, we see not only a nicer aesthetic appearance, but he claimed that he had considerable return of strength in his left biceps. 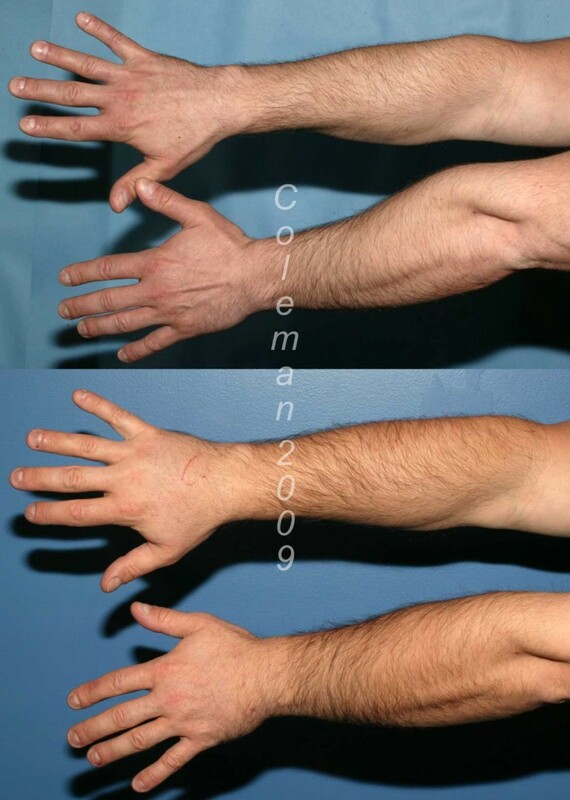 A 36 year old amateur bodybuilder presented frustrated because his forearms had not developed as well as the rest of his body after years of trying. This 30 year old woman presented a year after a steroid injection (to treat allergies) into her arm had created a discrete, deep hole (left). After fat injections to the defect, she not only had a normal contour, but the skin of the injected area lightened from a grey blue to a healthy normal pink color. She returned at one year (right) pleased with the correction.